FCG - Federation of Card Games | Uniting seven federations of the traditional mind sports : Chess, Bridge, Draughts, Go and Xiangqi with over 500 National Associations and close to one billion players. In April 2018, IMSA accepted Federation Of Card Games as the seventh full member. 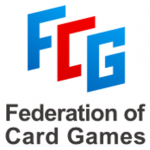 Established in Lausanne, Switzerland, the Federation of Card Games (FCG), is an international association established by uniting multiple regional card game organizations. In April 2018, FCG became the official member of IMSA, which is the only way for Card Games to enter the Olympic Games. FCG, adhering to the Olympic spirit of ‘mutual understanding, friendship, solidarity and fair competition’, aims to promote the culture of mind sports as the mission, based on the principles of fairness, justice and equality, deeply combined with Internet, big data, artificial intelligence and other high technologies, together build the federation of ‘Globalization, Sportification, Diversification and Systematism’, to promote the development of mind sports, make people from different countries, different races, different languages, different religious beliefs enjoy the pleasure of Card Games, striving ultimately for the inclusion into the Olympic Games . FCG has already expanded to over 42 countries in across multiple regions. At present, the events that FCG carried out include Gin Rummy, Guandan, Two Against One and Open Face. Globalization: To expand and absorb regional card games entities as members of FCG. By connecting with national/regional governments, organizations, companies and other entities, to carry out authorized cooperation for the event. Sportification: To develop card games into mind sports through standardization of its competition system and game rules. Systematism: Qualification Certification of Referees, Ranking & Certification of Players. At present, the events that FCG carried out include Gin Rummy, Guandan, Open Face Poker and Two Against One. Gin Rummy：Rummy has a variety of tricks and types, as one of the most popularized Rummy games; Gin Rummy is widely popular in many countries and regions all over the world. Gin rummy was created with the intention of being faster than standard rummy but less spontaneous than others. Gin Rummy is mainly used to test the player’s ability of card combination and to judge and understand the opponent’s hand. Now Gin Rummy already have more than 400 million players around the world and will be an important event in the future international competitive card games. Guandan：Guandan is a popular game in China, which originated from Huai’an, East China’s Jiangsu province. Guandan is played with 2 sets of playing cards, 4 players discard in order, and constantly suppress the previous discard by bigger card point or type, until the rest of the players are unable to discard. The most attractive part for Guandan is the different permutation of cards. As a typical regional card game, Guandan is expected to be the game introduced to the whole country and even the world in the future. Two Against One：Two Against One is one of the most popular card games played in China, which is played among three people with one pack of cards, including the two differentiated jokers. Two Against One is described as easy to learn but hard to master, requiring mathematical and strategic thinking as well as carefully planned execution. Open Face Poker：Open Face Poker is originated in Finland during the mid-2000s and spread to Russia a few years later. The goal of the game is to achieve more units (also known as points) than your opponents by winnings more hands also known as rows and/or by collecting royalties on premium hands without fouling.